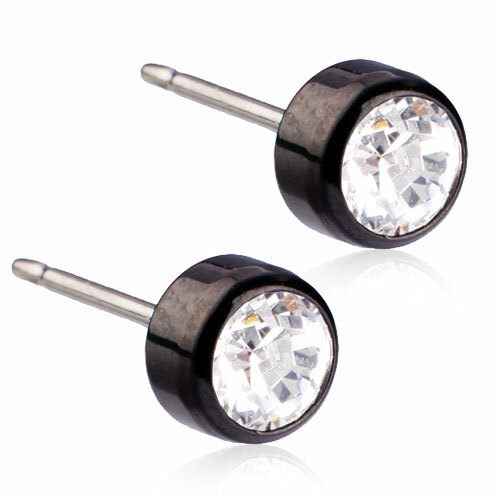 Earrings developed in consultation with skin specialists, in pure medical titanium with Swarovski crystals. The coating is only applied to the parts of the jewellery that don’t come into direct contact with your skin. Diameter 5 mm. Art. no. 15‑1524‑01.